The state has extended the deadline for cities and towns that want to apply to establish their own crumbling foundations testing program using funds from a block grant. 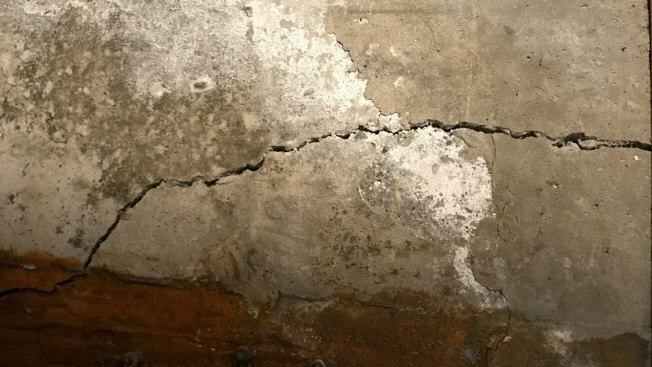 The issue of the crumbling basements is connected to concrete poured from 1983 through about 2013 that has the naturally occurring mineral pyrrhotite in it. When exposed to air or moisture, it can cause cracking, according to reports. Gov. Dannel Malloy last year announced that the state would begin offering testing reimbursements to homeowners in northeastern Connecticut who are impacted or potentially impacted by the ongoing crumbling foundations issue. A statement the state Department of Housing released Wednesday says the reason for the extension is to solicit applications for funding to help residents obtain financial support to test their foundations for the presence of pyrrhotite. The funds are subject to availability and only municipalities with a population below 50,000 residents are eligible for the Community Development Block Grant—Small Cities program. Any eligible municipality that would like to apply must submit a letter of intent to DOH by June 15. Municipalities that establish a crumbling foundations testing program with CDBG-SC funding may cover 100 percent of the costs to test a foundation for pyrrhotite, up to $5,000, according to the Department of Housing. The department received one multi-jurisdictional application in 2017 and awarded $250,000. Any resident who lives in Ashford, Bolton, Columbia, Coventry, Tolland, Union or Willington can apply directly to their town for that funding. DOH Commissioner Evonne M. Klein said testing foundations for the presence of pyrrhotite is the first step towards remediation. “When the Captive Insurance Company is up and running, which was established through state legislation, it will offer real relief to residents of northeastern Connecticut. It is our hope that in the coming months and years we will be able to secure a long-term federal solution to address this problem, which could affect thousands of households,” Klein said. Visual Inspections must be performed by a licensed, professional engineer. Under the Capitol Region Council of Governments program, homeowners are eligible for a 50 percent reimbursement of their testing costs, up to $2,000 for petrographic analysis—core testing. Visual inspections will be reimbursed at 100 percent of value, up to $400. Learn more about the crumbling foundations testing reimbursement program here.